The Bachelor of Arts in Elementary Education at the University of Alaska Southeast is a four-year undergraduate degree program available on campus or by e-Learning to freshman and transfer students in urban and rural Alaska seeking a Bachelor degree and elementary education credential that meets state and national standards. Students can complete this program while staying in their home communities. The senior year consists of a nine month intensive internship, with students completing a 2.5 days per week practicum experience in schools with their mentor in the fall and a 5 days per week student teaching experience in schools with their mentor in the spring. Student supervision is collaborative and highly interactive. Methods classes are taken throughout the senior year. The main components of this program include: (1) subject area course work in UAS General Education Requirements (GERs); (2) additional subject area course work in those areas important for successful teaching at an elementary level; (3) foundation courses in education with practical experiences in the schools; (4) ongoing interactive student advisement; and (5) a capstone year-long experience where the professional education courses are integrated with field experiences and student teaching. Due to mandatory supervision requirements this program is currently only available to candidates who live in Alaska. Candidates living outside Alaska are welcome to apply to this program, but should understand that this program is specifically designed to train teacher candidates for the unique teaching conditions of various Alaskan communities and that residency in Alaska will be necessary to complete the program. Bachelor of Arts in Elementary Education prepares students for recommendation in the state of Alaska for initial teaching certification in grades K-8. This program is for students in rural Alaskan communities and others who desire the flexibility of an e-Learning program. Students in this program must be self-directed learners, have access to high speed Internet connections, and prepare for a 9-month intensive student teaching experience in their senior year. 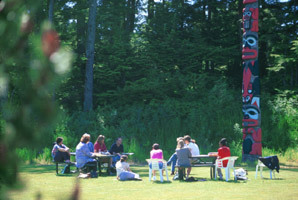 Students are assessed relative to national and state standards, including Council for the Accreditation of Educator Preparation (CAEP) standards, the Alaska Teacher Standards, the Alaska Student Content Standards, the Alaska Standards for Culturally Responsive Schools, and the Association for Childhood Education International (ACEI) Standards. The degree requirements are interdisciplinary and provide breadth in the content areas necessary for successful teaching at an elementary level and depth in the opportunities to connect theory and practice in a variety of real classroom, school, and community contexts. The main components of this program include: (1) subject area coursework in UAS General Education Requirements (GERs); (2) additional subject area course-work in those areas important for successful teaching at an elementary level; (3) foundation courses in education with practical experiences in the schools; and (4) a capstone year-long experience where the professional education courses are integrated with field experiences and student teaching. Program Assessment plans and student learning outcomes are posted on the Program Assessment website. Applicants will be considered for initial admission into the Bachelor of Arts in Elementary Education program after completing admission requirements including an Interested Person Report. 2.75 GPA, successful completion of all program courses with grades of C 2.00 (not C-) or better and successful completion of Praxis Subject Assessment as required by the State for your certification area.